We are character builders, building the icons of our time. The HUMAIN team have created digital humans, fantasy creatures and digital doubles for many of the top entertainment and technology companies around the world. We draw upon many years of experience in film, video games and episodic television to deliver unique character services for our clients. We are a leading authority on face and emotion. Our Chief Scientific Officer, Dr. Erika Rosenberg, is a psychologist and world leader on the Facial Action Coding System (FACS) the gold standard in describing facial movement. Our Chief Scientific Officer, Dr. Erika Rosenberg, is a psychologist and world leader on the Facial Action Coding System, the gold standard in describing facial movement. 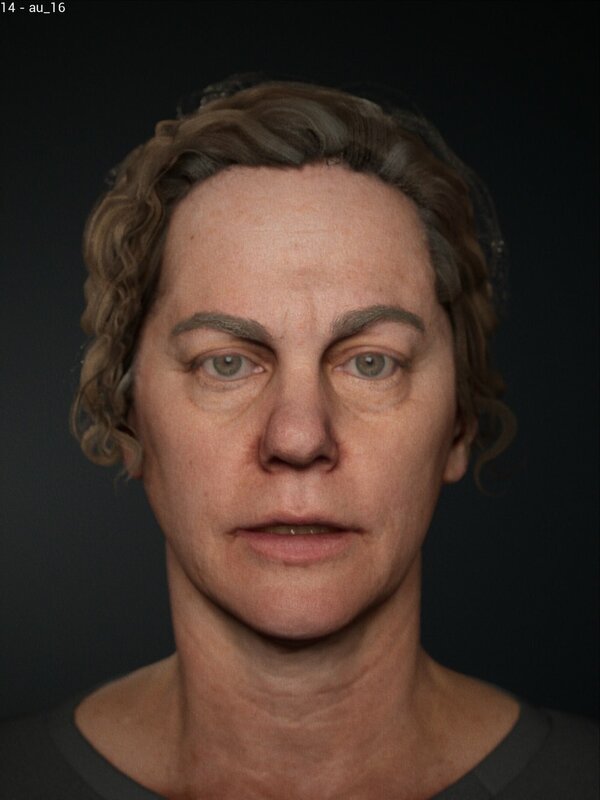 We captured Dr. Erika Rosenberg with a 148 x 36MP Cameras and created the worlds most robust database of Action Units from the Facial Action Coding System. The image sequence on the left show several photographs taken from cameras during our shoot. 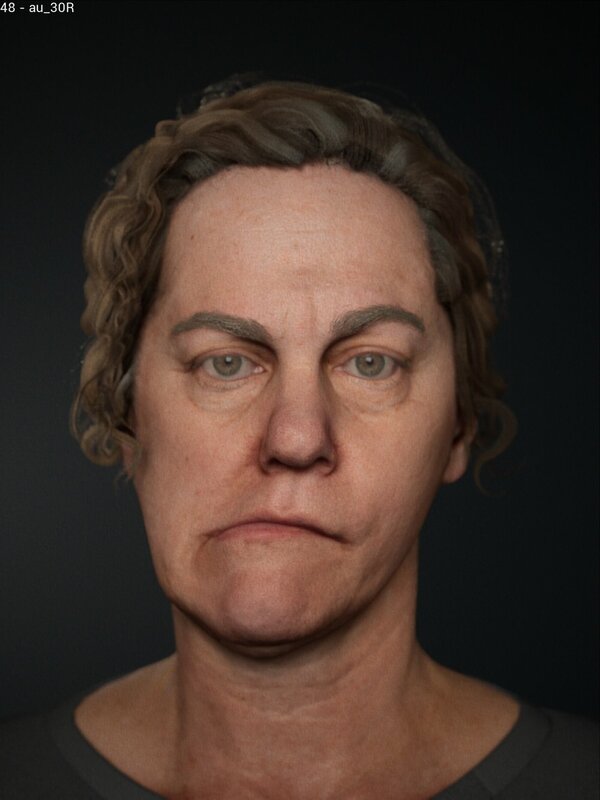 From these images we were able to create 3D high resolution 50 million vertex scans. Our stabilisation software globally positioned the point cloud data and we tracked our utility mesh to the local facial movement. Our database contains 147 separate scans; 40+ Action Units and their common combinations, plus phonemes. The image sequence on the right illustrates the results inside the Unreal Engine video game engine. 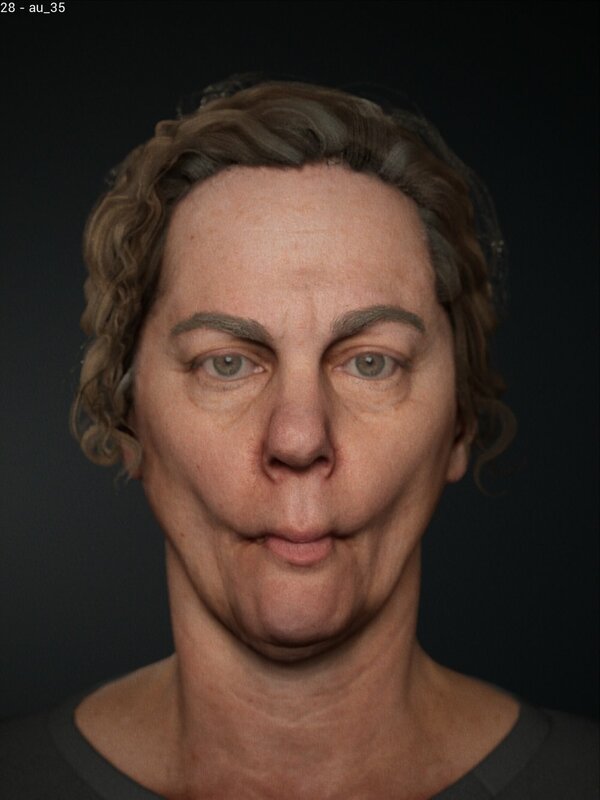 Test animation in an offline renderer Arnold. This uses displacement maps for micro pores and multiple color maps for blood flow changes. 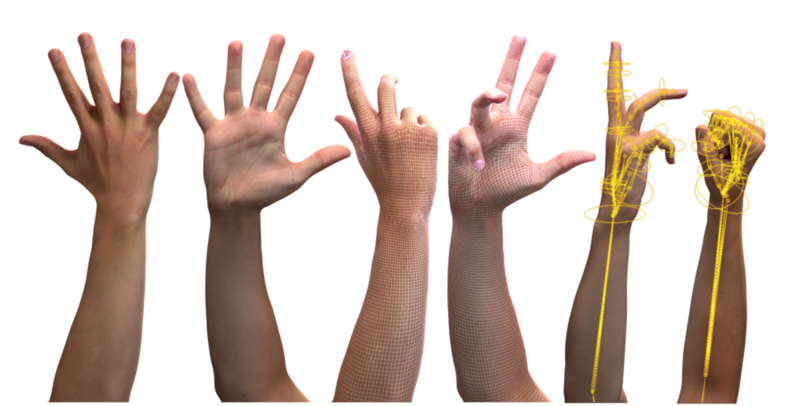 We developed a parametric hand model that can morph between both genders, all ages and ethnic groups. We can apply motion capture or key-frame gestures across all hands to create a large library of animations for rendering in multiple renderers.